Hulu announced during CES 2017 that, later this year, it’s going to launch a new live TV component to the Hulu application. Users who opt for live TV service will pay no more than $40 per month, Hulu has confirmed, and will get access to all sorts of premium channels you’d typically find from a cable service provider. Also, keep in mind that $40 per month includes the standard $7.99 Hulu service. In any case, I had a chance to sit down with Hulu’s vice president of product Richard Irving for a quick walkthrough of the service. 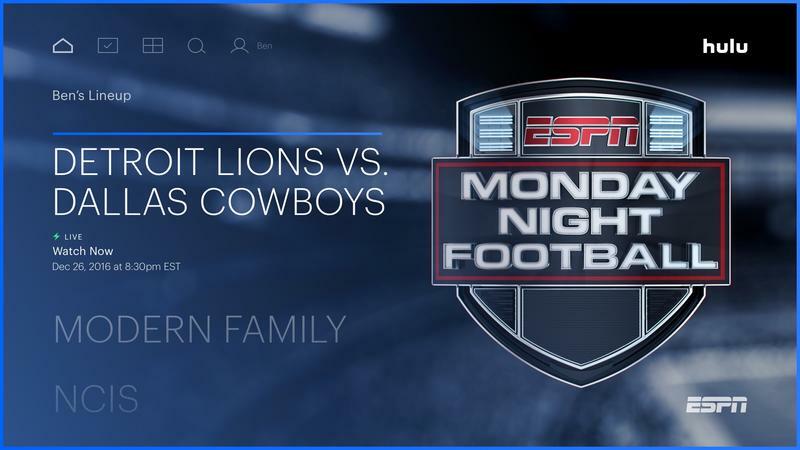 My initial thoughts: DirecTV Now, PS Vue and Sling TV should be shaking in their boots. First, and perhaps most importantly, the user interface is gorgeous. 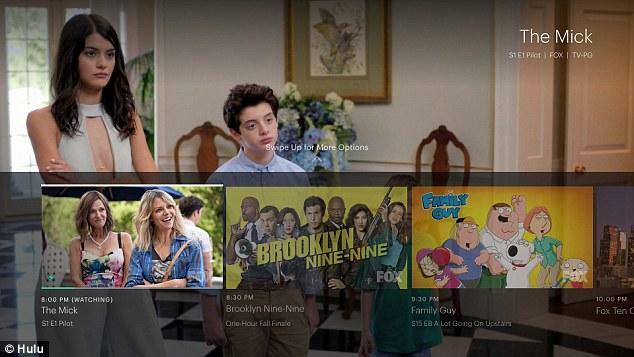 Hulu isn’t trying to do what others have in the interface of cable TV. After all, folks who like that aesthetic will probably just stick to fumbling through long menus that still call back days of the TV guide. Instead, Hulu puts the focus on content, live or otherwise, that it thinks you’ll want to watch. Watch what you want, how you want, when you want. The way consumption should be. That begins with the initial setup, which you’ll do on a mobile device. Hulu will ask what sorts of genres you like – crime shows, comedies, reality TV and the like. Then you’ll narrow down a bit, selecting the shows you like in each category. That’ll give Hulu something to start with. When you load up the app on your TV app (Xbox One, tvOS, Chromecast to start), you’ll see live content or other available Hulu content suggested to you. If a show has already started — and I love this aspect — you can just rewind right to the beginning. Or, say Hulu knows you love the New York Jets (there are so few of us, I know), then it’ll tell you right away that the game is on, even sending a notification to your smartphone. If you aren’t able to tune in, Hulu is smart enough to start recording it for you. Your DVRd content will be stored in the cloud. Irving told me Hulu is still trying to work out how much storage will be available. Since a lot of Hulu’s content is already available for on-demand streaming, Irving said he doesn’t think Hulu will need to offer as much space as a competitor that only provides live content. As you continue using Hulu you can tell it more shows that you’d like to add to your watch list and even tell the system the shows you never want to see recommended again. There’s a totally custom area of this watch later content, always within reach, which is perfect for folks like me. I can go right there to see if there are any new Always Sunny in Philadelphia episodes, or perhaps if the new season of Mr. Robot has started yet. Nobody else offers that. 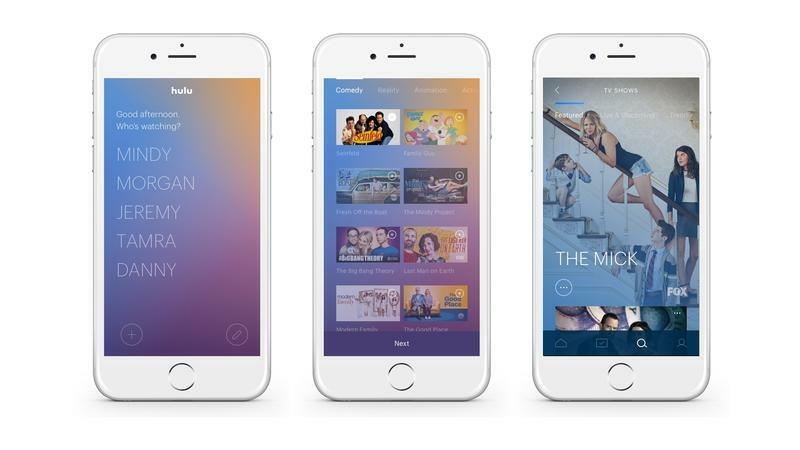 Irving told me that Hulu is considering allowing folks to store content offline for places like plane rides, but noted the feature won’t be available at launch. That’s something I’d like to see, if only just to store some episodes of Family Guy before I hop on a flight. Finally, Live TV is always within reach, too, though I love that it’s not necessarily the focus of the Hulu app. That shows that Hulu, while it knows it’s important to give consumers live content, is also very much aware of the changing tides in how we consume TV. Rarely, if ever, am I tuning in for a live event. Maybe for that one TV show here or there, for sports or for news. Hulu will always let you know if anything you care about pops up. Finally, Hulu is location independent. That means, unlike PSVue, for example, you can tote around a Chromecast or Apple TV and tune in to the service wherever you are. That was important at CES 2017 for me, since I couldn’t watch PSVue from my hotel room on an Apple TV. Instead, PSVue told me I could only stream on my smartphone out of my home zip code. That won’t happen with Hulu TV. While Roku won’t be supported at launch, a void I think needs to be filled ASAP given the popularity, Irving said Hulu isn’t purposefully avoiding any specific platform. He just said he and his team had constraints and decided to focus on just a few platforms to start. I can’t wait to test Hulu. I know I run the risk of getting too excited ahead of launch — DirecTV Now is still experiencing terrible outages, for example — but I think Hulu’s UI, recommendation engine and selection are going to be a huge win for cord cutters.